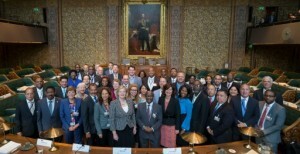 WILLEMSTAD - Before the real Kingdom Inter-Parliamentary Consultation (Ipko) begins, the Caribbean delegations of Curaçao, Aruba and Sint Maarten will meet today to discuss the dispute agreement. The political party and partner in the current coalition PAIS is in favor of such court. The leader of the party Alex Rosaria indicated that this court could strengthen the democracy in the Kingdom.